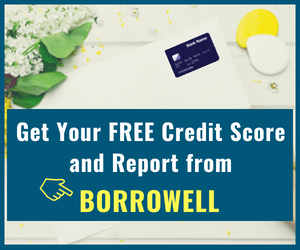 I love saving money on purchases whenever and wherever possible – be it through discounts, coupons, rewards and cash back apps, negotiating deals, credit card rewards (cash back and points), and more. To put it mildly, I am like a savings junkie and simply hate to pay full price on anything. Saving money on groceries and other shopping has never been easier. Gone are the days when shoppers had to clip hundreds of coupons, keep them organized, make sure they keep tabs on the fine print and all of the other hassles that come with paper coupons! These days, with a smartphone, you easily get money back by using the cash back apps installed on your phone and with little or no work required on your part. Simply scan a receipt or just link your credit/debit card and your cash back rewards will accumulate as you shop. Even better, you can stack up and earn cash back rewards for the same purchase using different apps plus your credit card offers and coupons as well. 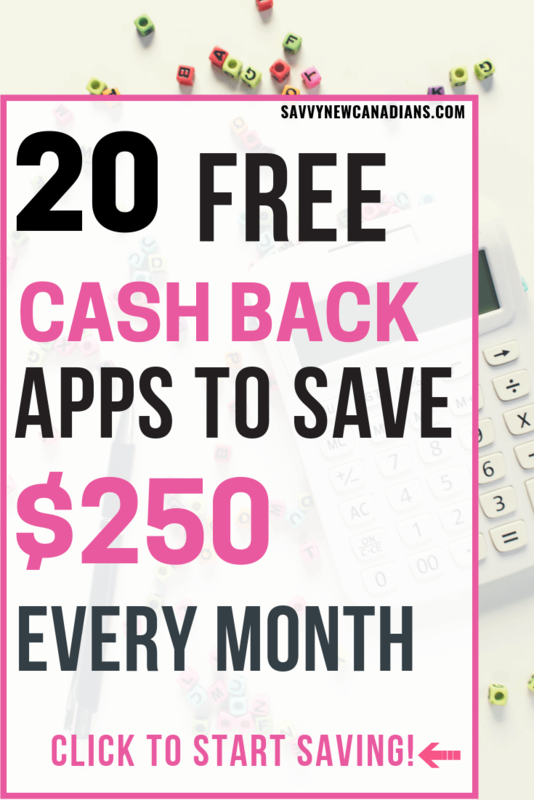 In this post, I compile 20 of the top cash back rewards apps to earn real cash when shopping online and in-store. Signing up is easy and FREE, and these apps will literally pay you to shop! This awesome app will send you weekly offers (usually on groceries) that earn you cash back when you make a purchase and scan in your receipt using your phone. New offers are available every Thursday morning and last until the Wednesday of the following week. To take advantage of an offer, buy it at any store and upload photos of your receipt using the app. I have come across cash back offers as high as 30% on the Checkout 51 app and consider it one of the best grocery shopping apps available today. When your cash back balance reaches $20 or more, you can cash out via a check in the mail. Checkout 51 is available in both Canada and the U.S. and you get a $5 bonus when you sign up. Read my full review of Checkout 51 here. Ebates is one of the online cash back portals I use the most when shopping. Their format is simple: Access your favourite online retailer through the Ebates website/app or use their browser extension. Once a deal is activated, there is nothing else you need to do. Ebates will track your cash back and deposit it in your account. Ebates allows you to earn cash back from over 2,000 popular stores. Discounts are plentiful and you can earn up to 40% cash back on some items. When you have accumulated $5 or more, you can request a payout through PayPal or as a cheque (check) in the mail. Sign up here to receive a $10 welcome bonus (US residents) or use this link for a $5 bonus (Canada residents). Read my full Ebates review here. Swagbucks is the ultimate “Get-Paid-To” website. You can earn money in several ways including for shopping, taking surveys, playing games, browsing, referring friends, and more. When yo reach your favourite online retailer (including Amazon, Walmart, Target, Macy’s, etc.) via Swagbucks, you earn SB points for every $1 spend. You can redeem your accumulated points for a gift card or as cash through PayPal. Swagbucks is available in multiple countries, including the U.S. and Canada. They have paid out well over $328 million to members till date. 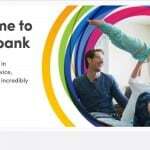 Get a $5 welcome bonus when you sign up using the link below. KOHO is a free reloadable Visa card and app that helps you to earn cash back on all your debit purchases. It is currently only available in Canada. Unlike many other popular cash back apps that require you to scan and upload a receipt, the KOHO app does everything automatically. Simply use your card (physical or virtual card) to make purchases, and a 0.50% cash back is credited to your account. The app also works as a budgeting tool and can be used to set up automated savings. And it is all absolutely FREE! 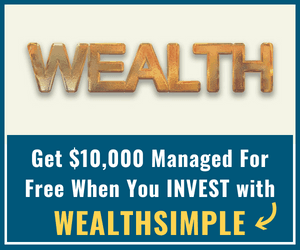 Sign up here and receive up to $60 in cash bonus when you use the promo code “FREEDOM20“. You can read my full KOHO review here. Drop is the app where you can link your debit, credit, and loyalty cards, and choose up to 5 brands you visit regularly. That’s all you need to do! When you make everyday purchases at these brands, you earn rewards points which can then be redeemed for gift cards. 1,000 Drop points is worth $1. 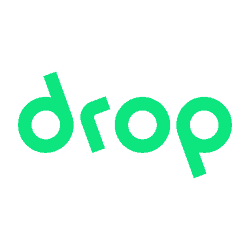 Drop is available in both Canada and the U.S., and it is FREE to use. When you sign up using this link, you receive a sign-up bonus of 5,000 points ($5)! Read my full Drop review here. The Caddle app is similar to Checkout 51, but unlike Checkout 51, Caddle is currently only available in Canada. Caddle publishes cash back offers every Thursday and this runs for a week. To claim an offer, purchase the item (usually at any store), scan and upload the receipt for processing. You can claim multiple offers on one receipt. When your cash back balance reaches $20 or more, it is easy to cash out and receive a check in the mail. In addition to product offers, Caddle also pays you to watch videos, complete surveys, and refer friends ($1 per referral). Read my full Caddle review here. 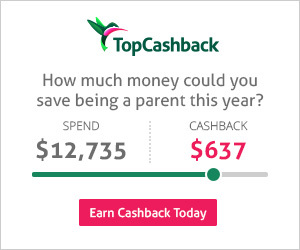 To earn cash back, simply visit the TopCashback site, click on your favourite retailer and shop. They track your shopping and deposit the cash back in your account. You can redeem your rewards directly through PayPal, bank deposit, or through Amazon vouchers. Unlike some other cash back apps, Paribus is set and forget and can get you some serious cash back without any hassles. This is how it works: When you shop online, the store emails you a receipt. 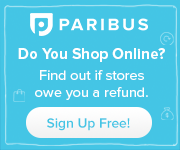 Paribus will scan your receipt and determine if you are owed any money either resulting from price drops, or due to late delivery of your order. Refunds are made to your original form of payment, such as credit card or PayPal within 3-7 business days. The app tracks 25+ major retailers including Amazon, Old Navy, Walmart, Nordstrom, Target, Gap, and more. Even better, the app is FREE. Earn a $10 cash bonus when you sign up below. MyPoints is similar to Swagbucks in that they are a get-paid-to site that rewards members when they shop online at over 1,900 stores, share their opinion, watch videos, read emails, and more. It is available in the U.S. and Canada. To earn cash back on your online shopping, visit MyPoints and click on the retailer you wish to purchase with. 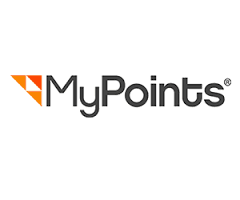 Your points will usually be deposited in your MyPoints account after a few business days. You can redeem accumulated points as cash through PayPal or for gift cards. 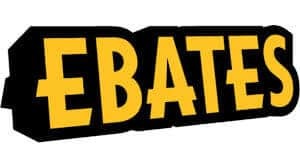 Mr.Rebates is similar to Ebates and offers cash back opportunities on pretty much all of your online shopping. They are available in the U.S. and Canada. To earn cash back rewards, sign up here and access your favourite online store via the Mr. 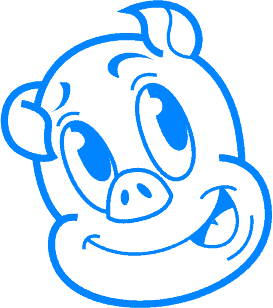 Rebates website. Shop as usual and rebates are credited to your account within a few days. You also earn cash back for referring friends (20% of what your referrals earn). Redeem your cash back via PayPal or check when you reach the minimum $10 threshold. 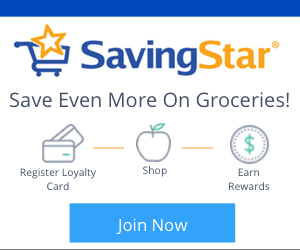 SavingStar is a great app for hassle-free grocery shopping cash back. You can forget about having to clip, print, or mail coupons. They currently have 7 million members and offer cash back at over 100,000 locations, including Walmart, Walgreens, ShopRite, FoodLion, CVS, Target, etc. Download the app and sign up here. 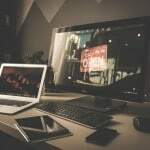 This website gives residents of Canada an opportunity to earn cash back when they shop online, particularly at stores that are open only to those with U.S. addresses. They currently have over 500 listed retailers you can shop at and earn cash back. To earn cash back, simply visit Great Canadian Rebates first and then proceed to your favourite retailers. You also earn cash for referring friends and family equal to 15% of their cash back rebates for 5 years. Rewards are credited to your account and can be redeemed as cash through PayPal or check, or for Amazon.ca gift cards. Sign up for Great Canadian Rebates here and get a $2.50 welcome bonus. 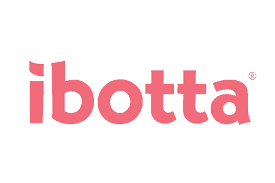 Ibotta is another great discount app for earning cash back on your grocery purchases from over 285 stores, including Walmart, Kroger, Walgreens, and CVS. Find offers for products on the app and add them to your shopping list. Following purchase, take a photo of your receipt and upload. The cash back earned is deposited into your account within 2 days. In addition, you can earn cash back directly by linking your store loyalty card or making in-app purchases. Ibotta is only available to residents of the U.S. Fetch Rewards is a great grocery rewards app and provides an opportunity for you to earn points for items purchased at more than 250 popular brands. Earning points with the app is very easy. Forget about needing to shop at specific stores or scanning product bar codes! With the Fetch Rewards app, you earn by scanning your grocery receipt from ANY store, including grocery retailers, supermarkets, and convenience stores. You can redeem your points for free gift cards. Enter my code Q7RCU on sign-up to receive 1,500 FREE welcome Fetch Points! Dosh is similar to Drop with their rewards model. It is available in the U.S. After downloading the app, connect your credit and debit cards, and whenever you make a purchase at partner stores, you get up to 10% in cash back in your Dosh Wallet. You also earn $5 for every friend you refer to Dosh. When you want to cash out your rewards, simply transfer to your bank account or receive your money via PayPal. Earning cash back with Dosh is as easy as 1-2-3. Partner stores you can earn cash back from include Walgreens, Walmart, Target, GAP, and thousands more. The Receipt Pal app functions similar to Receipt Hog. You earn rewards when you simply take photos of your purchase receipts and upload them to the app. To be eligible, you must have made the purchase yourself and uploaded the receipt within one week. Email receipts are also accepted. Receipt Pal use the purchase data they glean from your submitted receipts for market research. Rewards are awarded as points and can be redeemed as gift cards. Using the Shopkick app, you can earn rewards when you shop both online and in-store. The app is available in the U.S. and works like a combination of Dosh, Checkout 51, and Ebates. 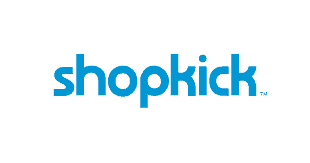 Shopkick is partnered with over 250,000 retail locations. You can earn rewards when you walk into an eligible store, purchase with a linked card, scan and submit a receipt, visit an online store, purchase items online, scan product bar codes, watch videos, and more. Rewards are earned as points referred to as “kicks.” 250 kicks is equal to $1, and can be redeemed as popular gift cards. When you refer friends, you are awarded 250 kicks. BerryCart is the dedicated rewards app for when you purchase healthier food items including organic, gluten-free, and non-GMO foods. Download the FREE app and browse the offers available at over 100,000 locations including Whole Foods, Walmart, Safeway, Kroger, Target, and several others. Buy the product, snap a photo of your receipt and upload. BerryCart deposits your cash back within 24 hours. Rewards can be redeemed as cash through PayPal or for various gift cards. This app works like Ebates, but is currently only available to U.S. residents. 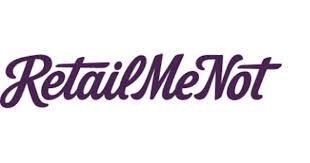 You earn cashback by shopping at your favourite online retailers via the RetailMeNot website. You can also link credit cards to your account in order to take advantage of in-store offers. Cash back rewards are redeemable as cash via PayPal. This app is available in the U.S. and U.K. Download the app and upload photos of the receipt when you buy anything anywhere. Depending on what’s on your receipt, you earn coins or spins in their sweepstakes. Receipt submissions are used by Receipt Hog to gather data on consumer buying behaviour. You can redeem your accumulated coins as cash via PayPal or get an Amazon e-gift card. Other ways to earn using the app include taking short surveys. ***Since writing this article, it now appears that Zweet has shut down operations! 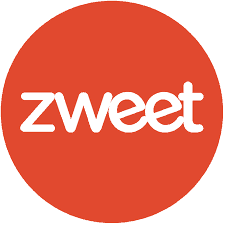 *** Zweet is a rewards app that offers you cash back when you purchase your favourite grocery items at ANY store. It is available in the U.S. and Canada. Get a welcome bonus of $1 when you sign up here. If you enjoyed this post, don’t forget to pin, share on Pinterest and Follow Me! Thanks! I’m not surprised eBates is #1. It’s super easy to use, especially if you install their browser add-on. @JoeHx: I agree, it’s so easy to use Ebates to earn cash back! I really need to try eBates. I’ve been using Honey for over a year as a Chrome extension but the payouts have completely dropped off. @Stephen: The honey program never seemed to work for me. Maybe it’s because I live in Canada, but I really never found deals that made using the extension worth the trouble. I’ve used about three of these, and I also like Ebates the best. MyPoints can be redeemed for gift cards to restaurants – we did that before and enjoyed our meals out. I have been using Ibotta and not liking the offers of products. Most of the offers are for processed foods. We shop at Wholefoods and they had brands which aren’t even carried there. Then I’ve used it at Target and the selection is very short list. Once I reach my $20, I’m off there. There’s so many to choose from, can anyone provide me a better selection than Ibotta for grocery shopping? I do love ebates for online shopping, I need to be better about making my purchases through there. Between me and my husband we’ve received almost a $100 back from shopping. Swagbucks is a pain in the bootie! Earning SB points takes forever, then a lot times you can spend time taking a survey then they don’t give you the points for not answer correctly, or didn’t qualify because of your age, no kids at home etc..
Is it worth picking two or three or more apps to use? Curious mind wants to know!